Every so often, I will dedicate a post to a significant professional mom who is setting and smashing goals. I decided to jumpstart this week off with me. 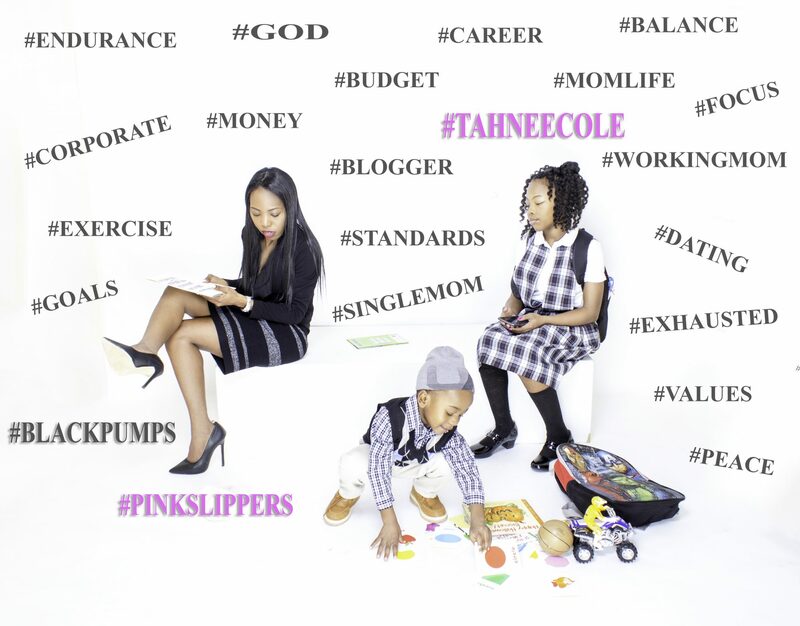 I am Tahnee Cole, the founder and blogger of Black Pumps Pink Slippers. I dedicate this blog platform to build a community for all my career driven moms across the world. I am a millennial mom of two. A tween daughter and a preschool age son. My professional journey started in 2009, after I graduated from Ursuline College. Ursuline is a predominately female and private college in Ohio. I went straight into the financial industry. I started in banking, then I branched off into commercial real estate doing corporate accounting. My early accounting career focused more on accounts receivable and collections. Now, I currently working as an Analyst in the food and beverage industry. My current Analyst role involves creating and researching data analysis, studying trends, driving dollars and making recommendations for the growth and improvement of a company. I help manage keeping down debt and improving profits. I have about 9 years of experience in the financial industry. My current goal is to use my expertise and start consulting. I want to start a small business, preparing budget proposals for personal clients. My goal is to work with small businesses and later contract with large companies improving wealth and profit management. One piece of advice I would give to working moms is to: Have patience with yourself. Never feel like you have to rush the process. It is ok to want to improve, but give yourself time to grow and evolve. Also, make sure that you are taking a moment to enjoy your life with you family and friends, especially your kiddies! Previous PostPrevious Tahnee’s Thoughts: Satisfied?